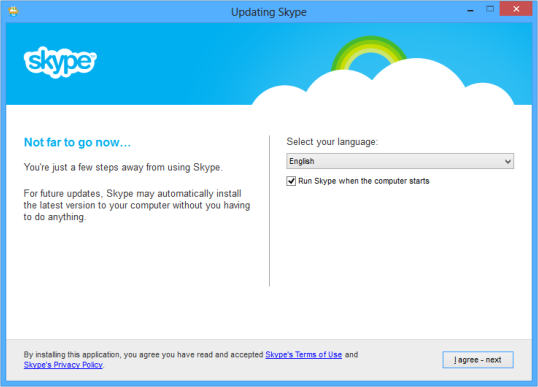 Skype allows you to make calls using your computer either to other Skype users (free) or to any phone number in the world (paid by the minute from credit you add to your account). It is useful, but by default when you install the program it adds a plugin to your web browser so that whenever a phone number is displayed on any website, Skype turns it into a button which you can click on to make a call. That’s really annoying. 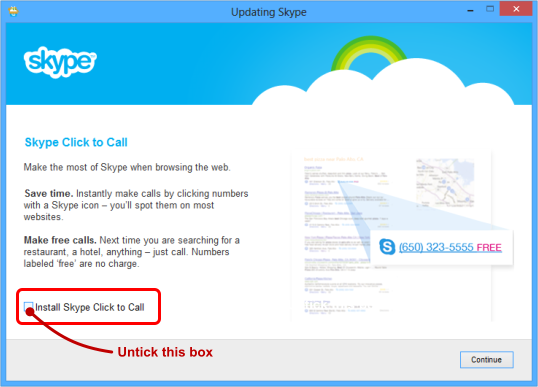 To avoid the “Click to call” plugin, you just need to untick an box when you install Skype. 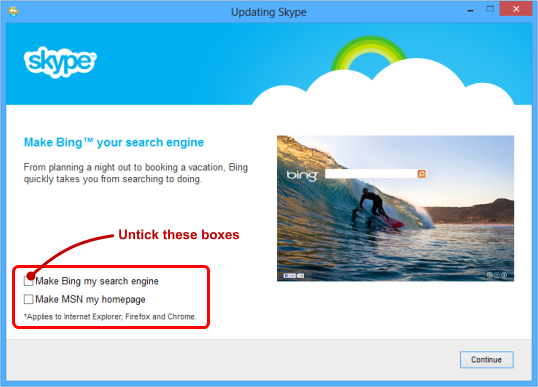 If it’s too late and you’ve already installed it, you can easily remove it by going to Control Panel on your PC, then selecting Add/Remove Programs or Uninstall a Program and choosing the Skype Click to Call entry and uninstalling it. If you’re installing Skype for the first time you’ll need to create an account before you can use it, and if you’ve used it in the past you’ll be able to log in using your existing account details. Skype works with a “contact list” so you can see when your friends/contacts are online so that you can call them. You can call the Echo test service contact that’s automatically added to your list of contacts if you’d like to check that your speakers and microphone are working correctly. You can add me to your list of contacts (search for my username danieloneill or my email address) if you’d like to call me.